We are excited about returning to Aqua, which was named “Best Emerging Art Fair in Miami” in a recent New American Painting online poll. In its 8th year as one of Art Basel’s premiere satellite art fairs, this year’s participants include 45 galleries from North and South America and even Japan. Please join us in room 122, where we will be exhibiting new works by Meg Aubrey, Jonathan Bouknight, Travis Dodd, Craig Dongoski, Sarah Emerson, Matt Gilbert, Adrienne Outlaw, Suellen Parker, Seana Reilly, Tommy Taylor, and Marcia Vaitsman. Click here to access your free ePASS, and we’ll see you in Miami! Aqua is located on Collins Avenue, a short walk South of Art Basel Miami Beach, and across from the Loews Hotel. Free Shuttle Service Aqua offers free shuttles during regular event hours, running approximately every 20 minutes to Art Basel (Convention Center) andArt Miami (Wynwood District). Click here for a shuttle map. 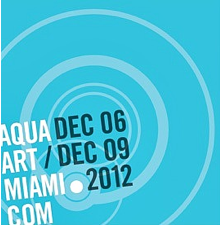 Aqua is a contemporary art fair, which takes place in Miami Beach each December during Art Basel Week. The event is located in the Aqua Hotel at 1530 Collins Avenue. The fair began in 2005 as an experiment in bringing together innovative galleries and artists from the West Coast during Art Basel Week. 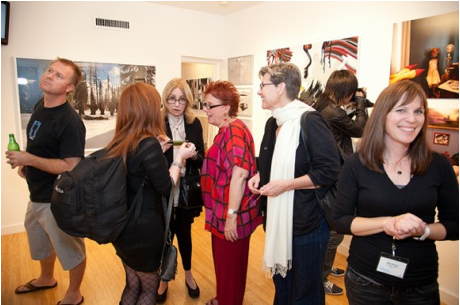 Over the years, Aqua has been recognized for presenting vibrant and noteworthy international art programs with a particular interest in supporting young dealers and galleries representing strong emerging and early-mid career artists. Not going to Miami? The gallery is open regular hours this week: Wednesday – Saturday from 11 am to 5 pm. Come see the December Show and get some affordable art! This entry was posted in Uncategorized on December 4, 2012 by Whitespace.